At Hernando Baptist, we value the Gospel of Jesus Christ. 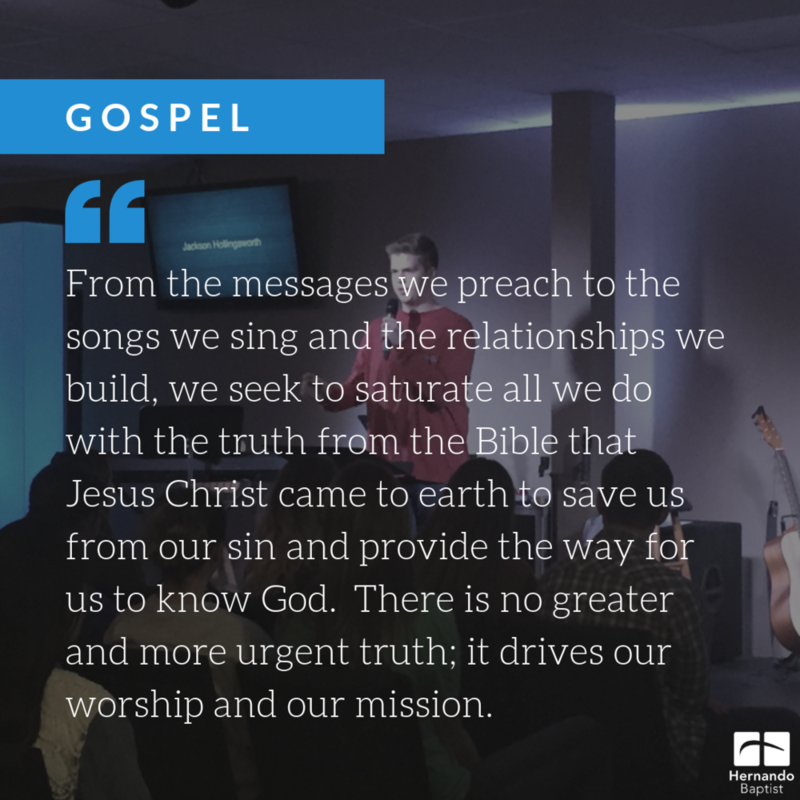 From the messages we preach to the songs we sing and the relationships we build, we seek to saturate all we do with the truth from the Bible that Jesus Christ came to earth to save us from our sin and provide the way for us to know God. There is no greater and more urgent truth; it drives our worship and our mission. 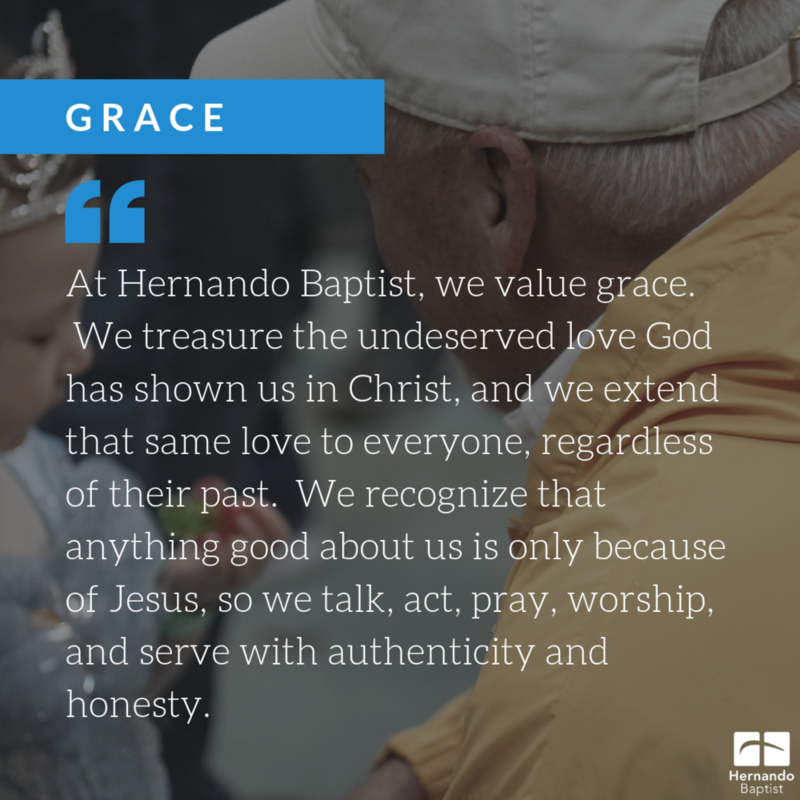 At Hernando Baptist, we value grace. We treasure the undeserved love God has shown us in Christ, and we extend that same love to everyone, regardless of their past. We recognize that anything good about us is only because of Jesus, so we talk, act, pray, worship, and serve with authenticity and honesty. At Hernando Baptist, we value relationships. Given our common need for grace, we recognize that God has designed us to grow and thrive in community with others. We celebrate family, honest conversation about life and faith, compassion expressed in tangible ways, and friendships that go beyond Sundays.